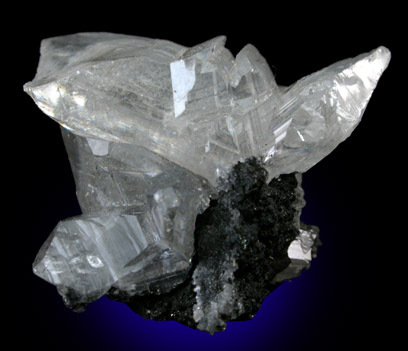 Description: Cluster of transparent, colorless cerussite crystals on dark matrix. 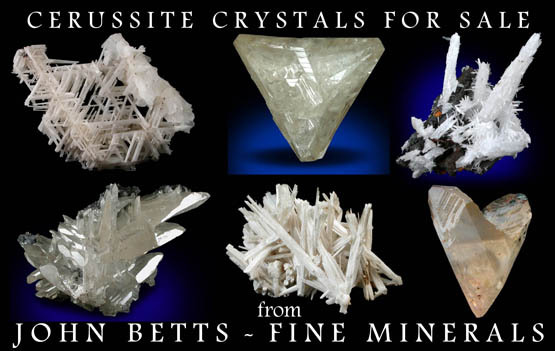 The cerussite crystals show classic twinning resulting in v-twins at 60 degree angles. Crystallized front and rear. 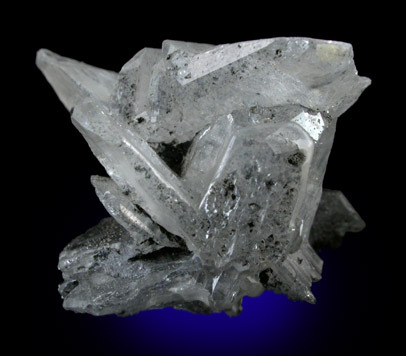 One crystal on the top has an irregular, conchoidal surface (glassy).